Cops say 29-year-old Joseph Brown has been apprehended in connection with the shooting. Police say that 29-year-old Joseph Brown is responsible for Friday’s shooting in Brooklyn’s Gravesend Houses that claimed one life and left three others injured. Brown was arrested around 6 a.m. on Saturday, and the motive for the shooting is still unknown. The Coney Island housing project is on West 33rd street in Brooklyn, and the shooting occurred around 3:30 p.m. Friday afternoon in the apartment of 62-year-old Eva Natal. Eva’s son, 24-year-old Matthew, was shot in the head and remains in critical condition. Angel Rivera, 28, was also shot in the head and pronounced dead at the scene. Brown also shot Eva’s 40-year-old son, grazing him in the head. He then shot Eva in the stomach before fleeing the apartment. Eva is in critical condition at Lutheran Medical Center in Brooklyn, while her son was treated at the scene. Eva Natal runs a day care program at the apartment building on 2703 West 33rd Street. There were two young boys at the scene, both younger than twelve, as well as an 18-year-old woman, none of whom were shot or injured during the incident. Before the shooting, Brown’s criminal record included burglary and narcotics charges. Cops searched for Brown before nabbing him at an acquaintance’s apartment close to the housing project where the shooting occurred. Neighbors said that they were shocked about the incident. One man who lives in the building, William Maragni, said in a report from ABC news, “it’s crazy… it's a building and it’s safe. There's no problems over here. Now, there's a problem all of a sudden." 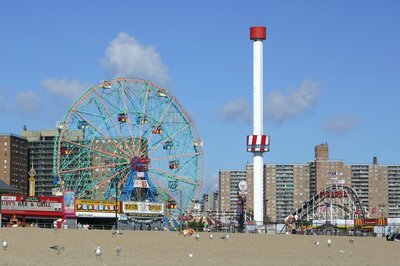 Subject: LongIsland.com - Your Name sent you Article details of "Cops Arrest Coney Island Shooter, Who Killed One and Left Three Injured"